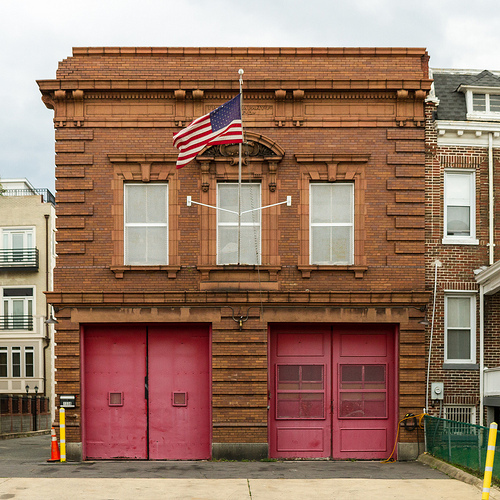 PoPville » Dear PoPville – Was this a Fire Department Exercise? Dear PoPville – Was this a Fire Department Exercise? I saw something strange out my window Wednesday night (10th and Otis NW) and I was wondering if PoPville knows anything about firemen drills on city streets- because that is the only explanation for what I saw. (either that or it was a weird comedic performance). About 10:30pm, a firetruck came racing down 10th with lights and sirens full blast. The truck stopped in the the intersection of 10th and Otis and firemen in full gear came racing out and started unravelling a hose. They then dropped said hose in the middle of the street, got back in the truck, and raced down Otis to 11th. Then they turned around and came back down Otis (going the wrong way on a one-way), jumped out of the truck again, put the hose back in the truck, got back in, and drove away. It was quite perplexing. Have DC firemen been known to conduct hose-drop drills on residential streets? Ed. Note: An email inquiring about this incident to the DCFD was not returned.